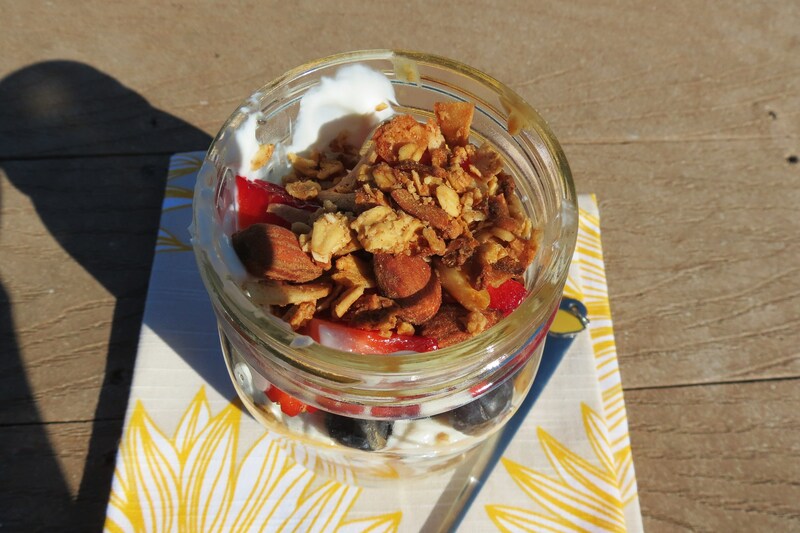 Today I am re-capping an old but popular post from 2012, it’s my PB&P Breakfast Jar Parfait. This is by far one of my favorite breakfast’s of all time. It’s tastes amazing and chock full of goodness. I love it! 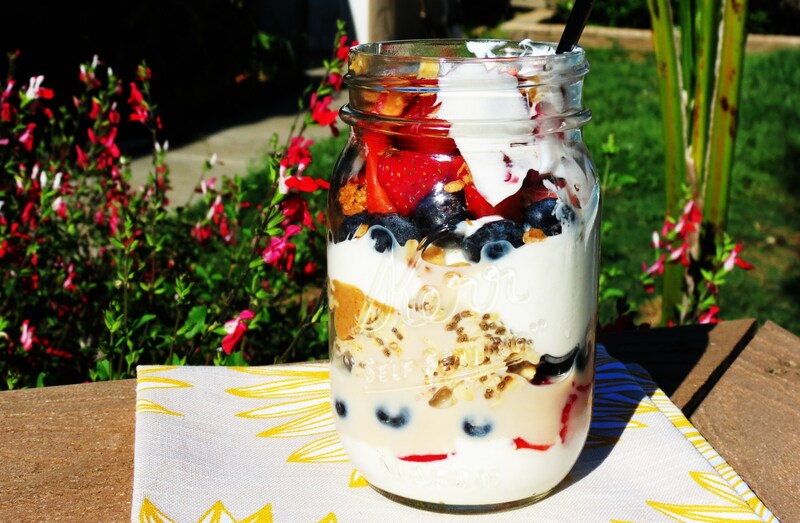 It’s made with fresh berries, yogurt, overnight oatmeal and peanut butter. It can’t get any healthier than that! 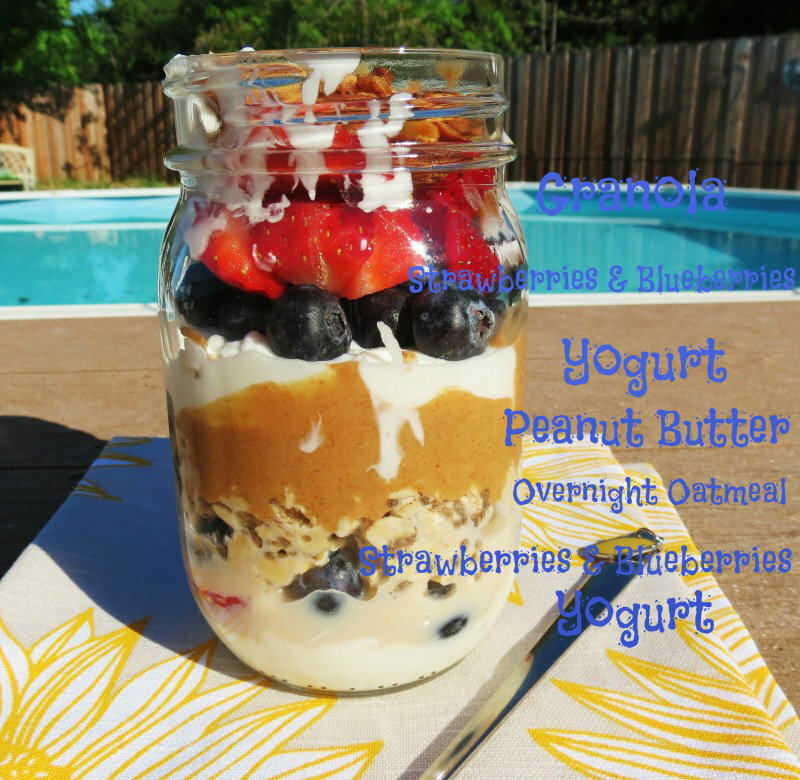 This parfait is perfect for anyone on the go!! It’s healthy, put together fast and will fill you for hours. It also takes no time to make. Here are my ingredients. I make overnight oatmeal, and in the morning I put this little treat together. It’s so quick too! It looks like a lot, but it’s about 5 minutes to put together. Here is my list of layers. This is a list of the best goodies, especially the Peanut Butter part! he he!! When you mix it all together its creamy goodness. 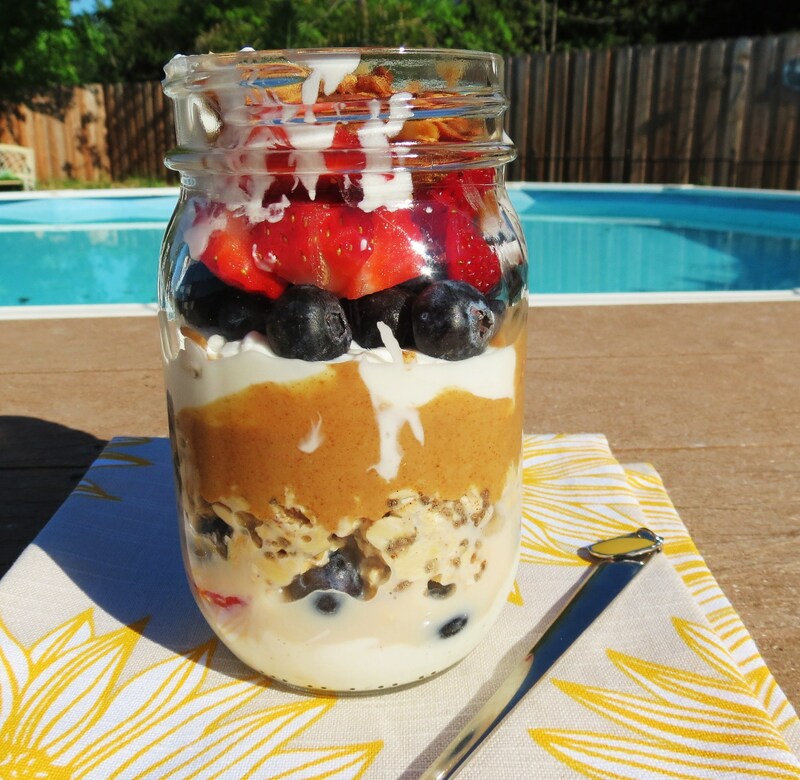 The over night oatmeal is perfect! I add chia seeds to it to thicken it up a bit, plus it gives it a little more nutritional boost. 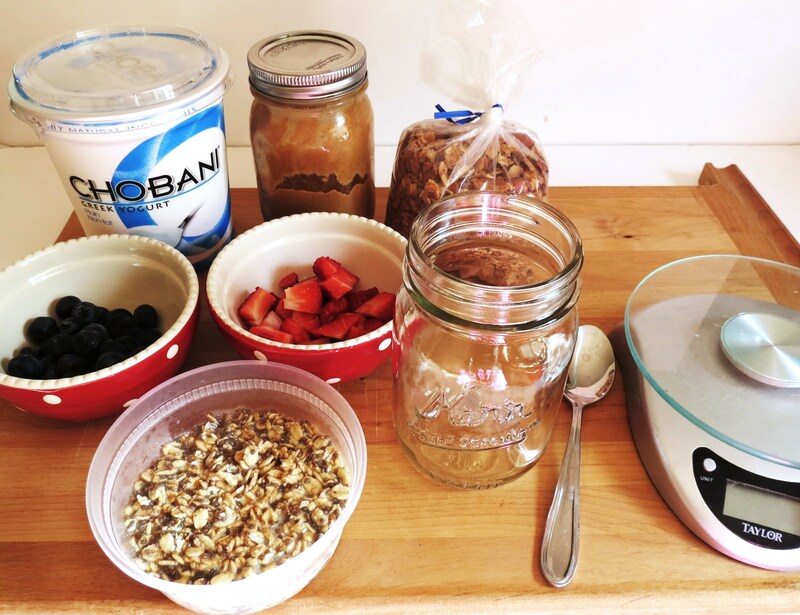 If you never had overnight oatmeal, you should really try it. I have also made a bunch of different kind of over night oats, like peanut butter and jelly, apples and cinnamon, pumpkin and berry medley. The possibilities are endless!! I also top it with granola that I picked up from a local bakery. You could eat this treat anywhere. Little Jenny and I have even taken it to Starbucks and had it with our lattes. I’m sure there not thrilled about it, but they never said anything! You could eat this on the subway, at the gym, in the sun or anywhere your heart desires. I just seal it up with my lid and pop it in my purse. Just don’t eat it when your driving!! I thought it would be fun to compare my parfait with some restaurants. This may make you change your mind about buying there’s and making mine instead! Looking at the list it’s a toss-up between Subway and McDonald’s. Now remember none of these contain oatmeal!!! Now look at mine! Oh and mine makes over 2 cups!! Mine blew the fiber, protein and sugar stats out of the water and I guarantee mine will fill you up way longer!! So what are you waiting for? Make my parfait!!! 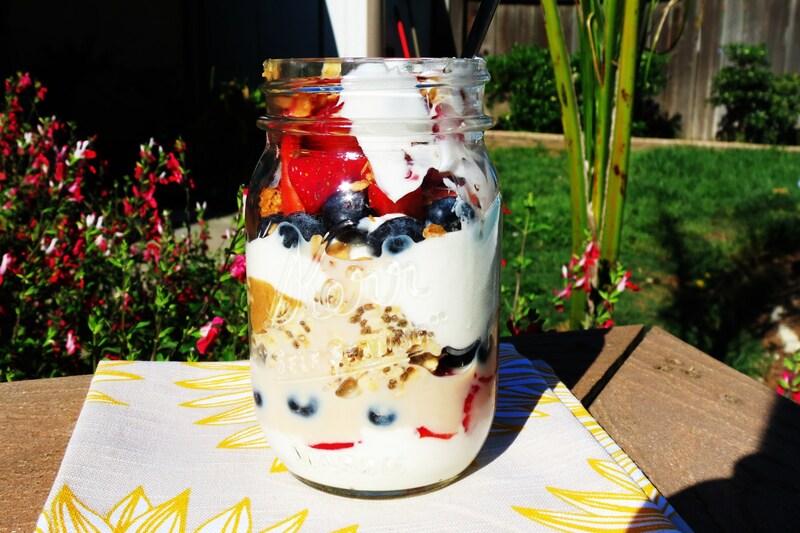 A healthy, on the go breakfast made with overnight oatmeal, yogurt, fruit, chia seeds and peanut butter. 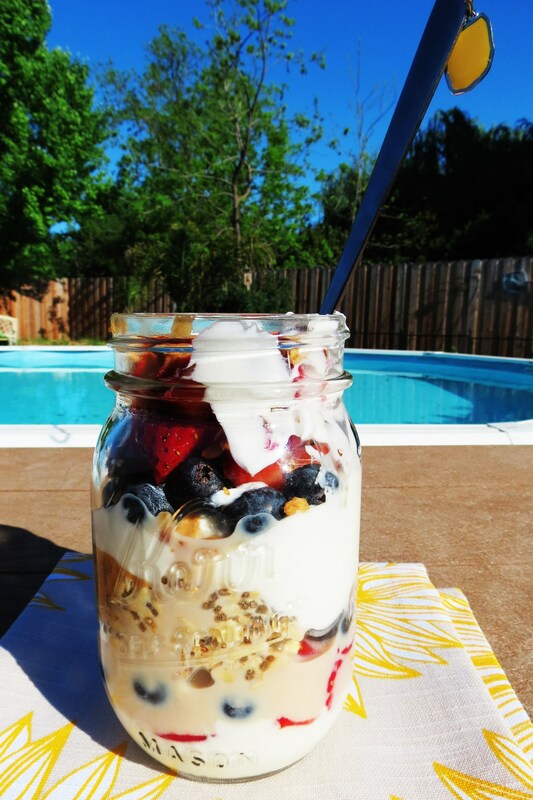 Place oatmeal, milk, vanilla, chia seeds and cinnamon in a bowl, stir, cover and leave in the fridge over night. 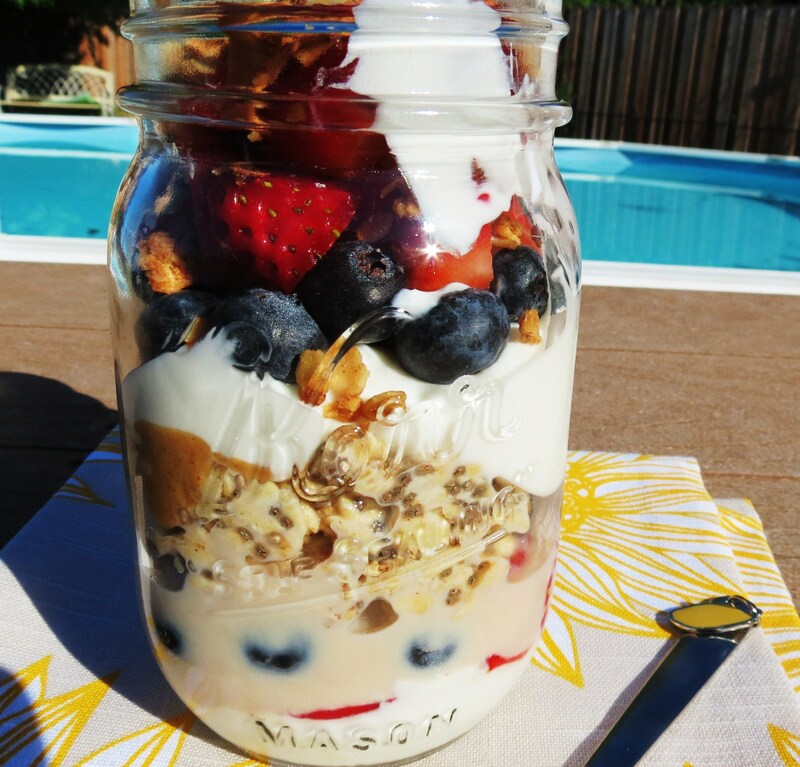 Add half of the of yogurt to a mason jar and top with half of the strawberries, half of the blueberries. 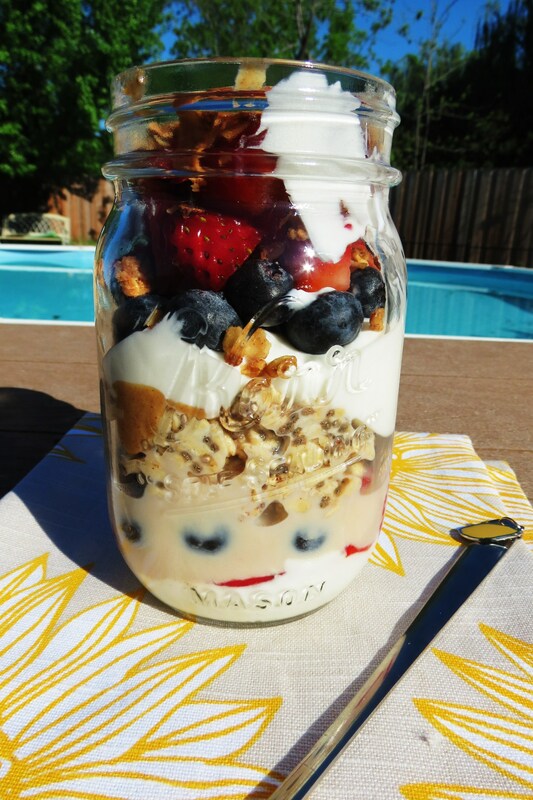 Add the oatmeal, peanut butter, remaining yogurt, berries and top with granola.